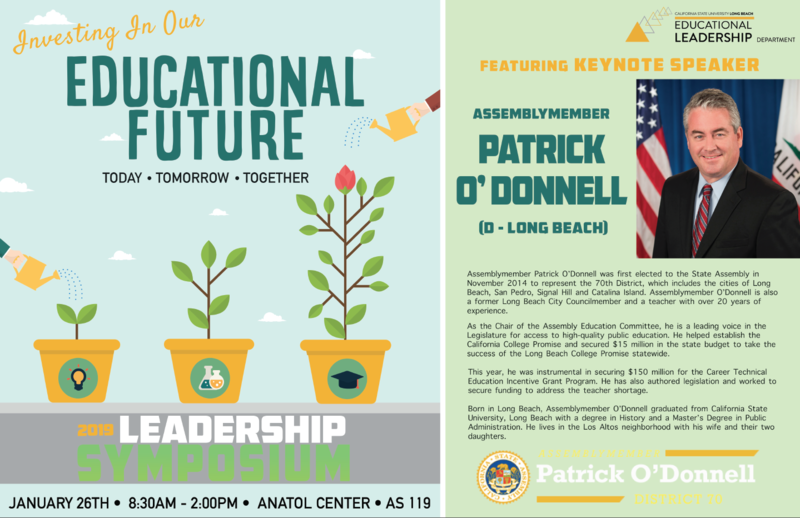 The Educational Leadership Program at California State University, Long Beach hosts the Annual Symposium on Educational Leadership—Practice, Policy, and Research. The symposium themes are selected by the Ed.D. Program Student Advisory Board. Each year the theme acknowledges the need to build bridges between school leadership across the P-16 continuum in order to allow for dialogue and discussion on the interrelationship of problems affecting our students, faculty, and administrators. Breakfast, lunch and conference materials provided.